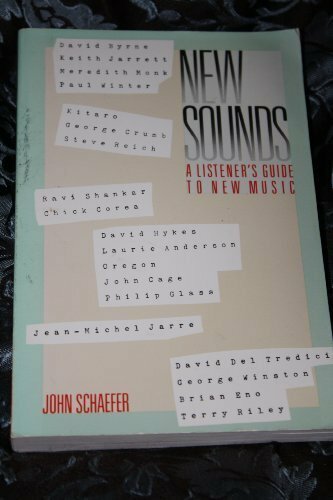 I came across a used copy of this 1987 book a couple years ago, and it’s one of those music books in my collection which I treasure most. Partly because it seems like the sort of book that will become harder to find (there’s precious little information about it online), but moreso because it’s actually proven to be a useful guide, especially for someone like myself, an interested (increasingly interested, I should say) dabbler when it comes to avant-garde music (or maybe I’m just a “disaffected rock fan,” as per the back blurb). There are some annoyances, chief one being that there are no dates attached to the records. And the truth is, I’d prefer it even more if each record was graded (ratings systems prove particularly worthwhile when you’re approaching something as an outsider). But the sub-genre breakdowns are sensible (I have much more of a thing for “Process Music” than “Unusual Folk Song Arrangements” — who knew? ), and thus far, most of Schaefer’s descriptions that have compelled me to check a title out have been reliable enough; he’s capable of making the inaccessible accessible.